please allow us to present you a short overview of the history and development of the MzK company. MzK was founded in 1998 as a family enterprise with the main intention to develop and produce high quality R/C receivers for remote control of model airplanes, ships and vehicles. 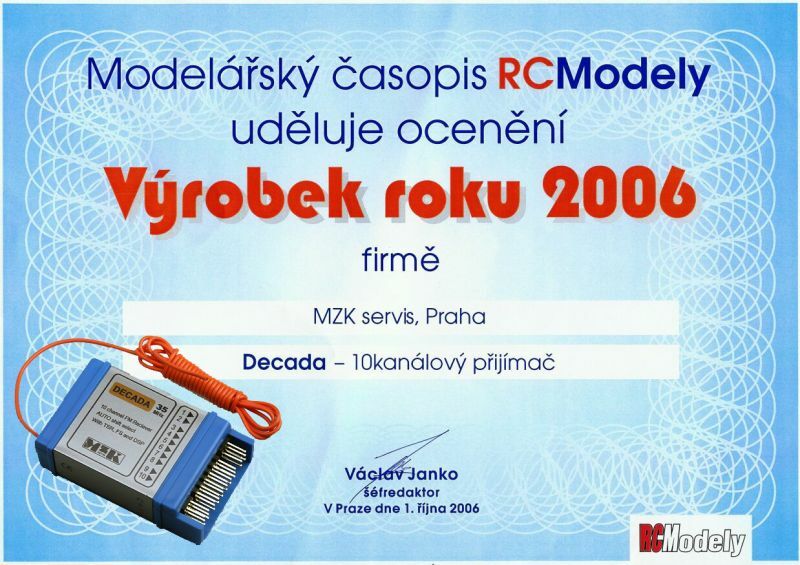 Since then receivers are the back bone of the MzK company recently complemented by additional modeling articles. During the last years this additonal assortment has been continually expanded for instance by high quality receiver and transmitter crystals of Czech production, servos, electric motors, controllers, LiPo-batteries etc. The most recent development stage of our extremely small and low weight receivers is represented by our new line of safe and full range receivers equipped with microprocessor decoders and special software containing new functions like TSR, DSP, HOLD and other valuable properties. An overwhelming part of our production is intended for export purposes. Nevertheless, it is satisfactory to say that recently also Czech and many European modelers start to appreciate these receivers which results in direct feedback to the customer and many worthwhile suggestions from the flying community. 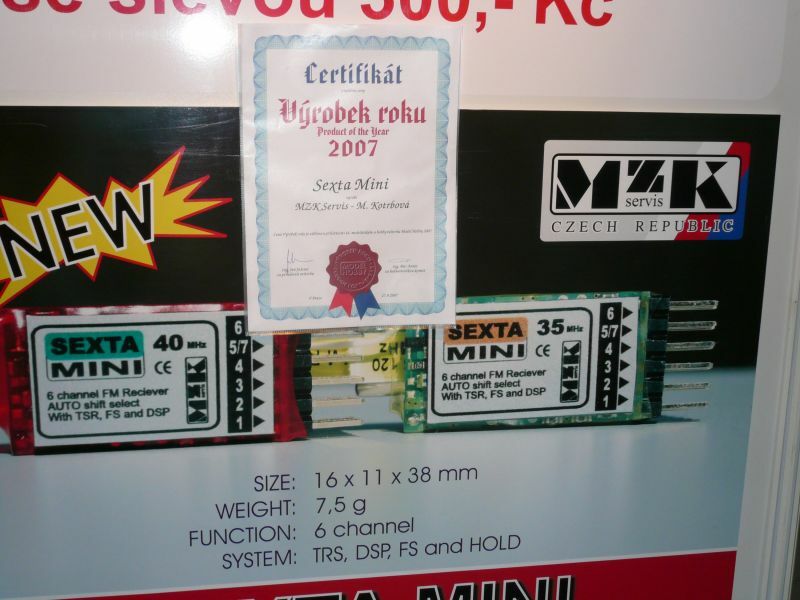 Since1998 we participate every year at the Autumn Model hobby show at Prague and have been several times rewarded with the „Product of the Year“ award. 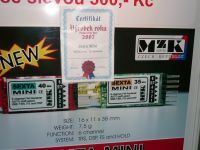 In 2006 we have also first time shown our products at the German spring Dortmund Model show. We intend to be present at least once a year at model shows thoroughout Europe. On our internet pages we will inform you in time when and where you will find us. The quality of our receivers, their production, delivery and testing is in the hands of a bunch of experienced and qualified people who mostly are also model pilots and exactly know the requirements of the hobby. Dear friends, the MzK team wishes you a lot of fun and success with our recent and future products. We look forward for pleasant encounters with you at shows and competitions somewhere in Europe or elsewhere in the world.